Welcome home to this spacious two-story, 4BR/2.5BA home in the desirable Southern Fields community. This wonderful home features 2,940 sq. ft., a 3-car garage and a newer A/C. Stepping inside the home you will be greeted by the bright and open great room which offers plenty of space for both living and dining. The family room offers additional space for entertaining and a slider leading out to the back patio. Moving into the large kitchen you will find stainless steel appliances, plenty of cabinet space and a breakfast bar. The upstairs bonus room could be used for a game room, office, exercise room & more! The master suite features a HUGE walk in closet with built in custom organizers, dual sinks and a jetted tub with separate walk in shower. 3 additional bedrooms and a guest bath offer plenty of room for family and friends. Outside you can enjoy a nice sized backyard with plenty of patio space to host a barbecue. 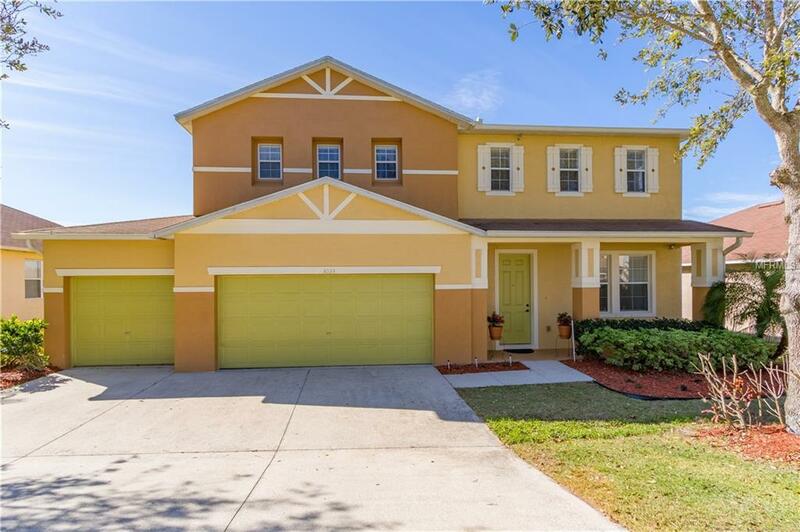 This home is in a fantastic location close to popular attractions, shopping, dining, schools and quick access to the Turnpike. Additional Lease Restrictions Lease Restrictions Have Not Been Verified. It's The Buyers Responsibility To Verify With The Hoa. Pet Restrictions Pet Restrictions Have Not Been Verified. It's The Buyers Responsibility To Verify With The Hoa.